This hole is not the bar it is another Par 5. 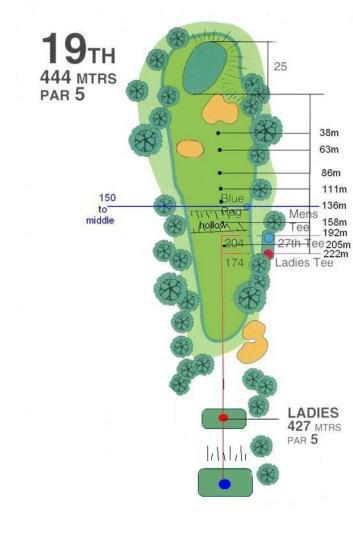 The 19th is a 444m Par 5 starting from an elevated tee making this hole easily reachable in two. This one of the tightest driving holes on the golf course, with a second shot that needs to be aimed over the left side of the bunker making this hole a good opportunity to make a birdie.